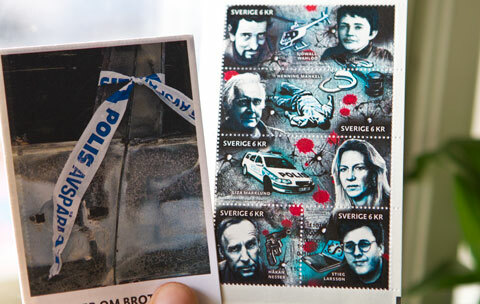 I have thought about getting the crime fiction stamps at the post office (in Sweden) for a long time. But I have always forgotten to ask for them, and the few times I have remembered they have been out of stock. The authors featured on the stamps are Maj Sjöwall, Per Wahlöö, Henning Mankell, Liza Marklund, Håkan Nesser, and Stieg Larsson.